In Messages From Mother … Earth Mother, self-described mystic Mare Cromwell communicated directly with Mother Earth and wrote the book as part of her spiritual work. Because she was too uncomfortable to be upfront about her communication with the spirit world — sometimes referred to as channeling, though she prefers the term downloading — the book tells the story of Sarah who meets Earth Mother. Third person just seemed easier at the time. But for her most recent book, Cromwell essentially transcribed the dialogue between her and Earth Mother and sent it off to be published. 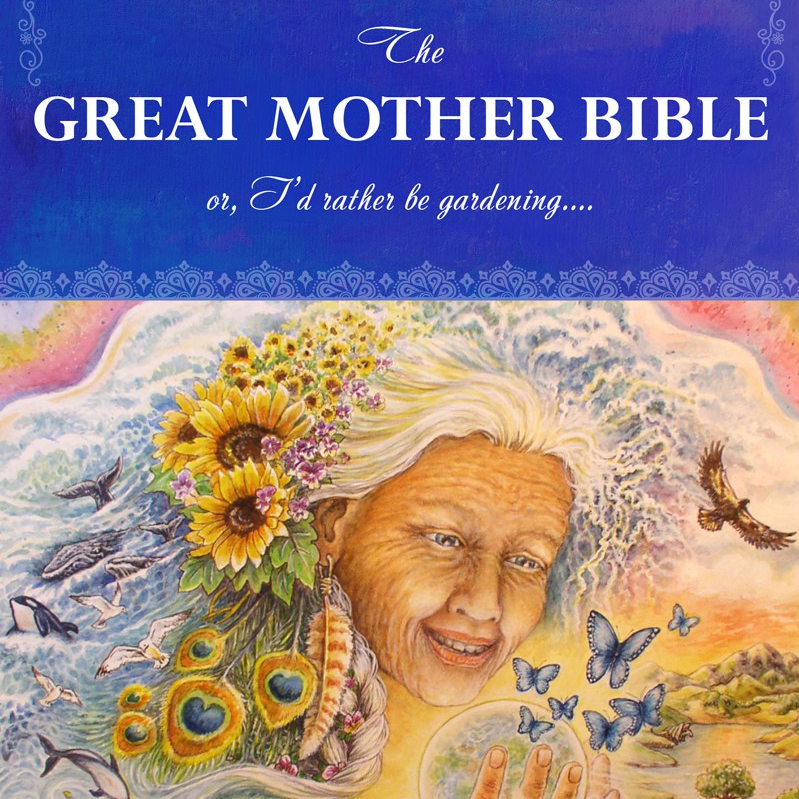 The Great Mother Bible: or, I’d Rather Be Gardening will be released by Pamoon Press on April 22 (Earth Day), and although Cromwell thinks some people in the area will be open to it, she’s still a little nervous. Over a cup of tea at Dublin Roasters, where she will host a book release talk on Sunday, Cromwell told how she left her job directing an international environmental education network to become a gardener for 17 years. She has a soft voice and soothing demeanor, eyes that are kind but not naive. Her golden hair fell over a thick winter sweater as she told about those quiet years spent gardening, how it made her better at listening. She said that time provided the space for her to begin to wake up to her sensitivity and her compassion for the Earth. 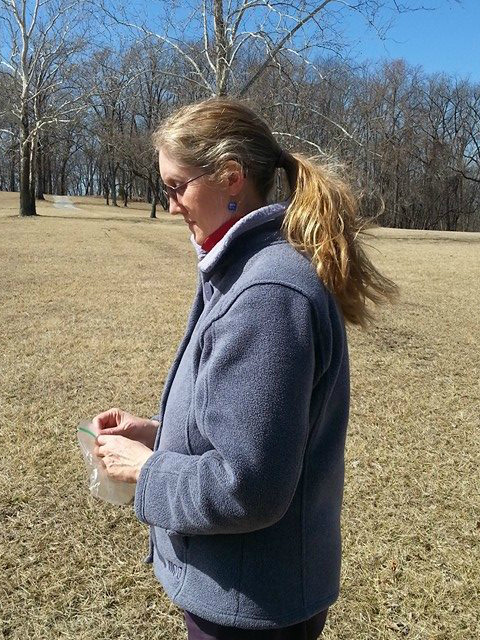 As she was cultivating gardens for well-to-do landowners, she was simultaneously cultivating a relationship with the the Earth and the feminine nature of the plant world. It was also during that time that she began communicating with the plants, she said. Years later in 2012, after studying with Native American elders and shamans of various tribes, Cromwell began her communication with Mother Earth. “I knew who it was,” she said, but admitted she “needed the affirmation,” which she received, from the Native Americans she was studying under. You begin to notice a common theme when talking with Cromwell — that she is often not the one choosing what to say or do, but that she is listening and responding. You also get the sense that she is always in communion, to some extent, with the natural world, and that Earth Mother, who at one point she called Mom, is like a dear friend to her. At moments during the interview, she’d pause, take a few moments to reframe a response or deciding she needed to stop from elaborating. It’s clear she did not stop communicating with Earth Mother after the book was published. When asked if she still communicated on a regular basis, Cromwell said yes, although instead of spending hours a day transcribing the dialogue for a book, Cromwell is mostly listening for marketing suggestions now — types of events to hold and where and when, and just as importantly, where not to go and what not to do. “What doesn’t change is my rapport with her.” While writing The Great Mother Bible throughout 2014, Cromwell also “did ceremony every day … offering prayers,” she said. began to get awakened up at 5 and 6 in the morning. She’s being awakened up by Earth Mother, she writes, who has a message she wants to get out in book form. Many times while still lying in bed, under the covers, she’d type on her laptop the conversation she was having. The Great Mother Bible reads much like Neale Donald Walsch’s Conversations with God series, with thoughtful exchanges between human and spirit. In Cromwell’s Indiegogo campaign, where she is raising money to fund publishing costs, she says, “Essentially that book (Conversations with God) is the Great Father Bible.” She said she read the first book in Walsch’s series, but The Great Mother Bible is different in the sense that it aims to bring the Earth back into balance by focusing on the sacred feminine, rather than the masculine energies that have dominated our society for a long time. In her book, she points out that while there are many spiritual people spreading love in the form of prayers and meditation and through their actions, few people direct their prayers and love into the Earth itself. In the book, Earth Mother is very clear that humans once loved and thanked her every day, but this has been lost in our culture for the most part, and she needs that loving energy to be healthy, much like we do. The Great Mother Bible is available to order here. Previous postThe Great Mother Bible – Mother’s Day Weekend Kindle Special – $0.99!